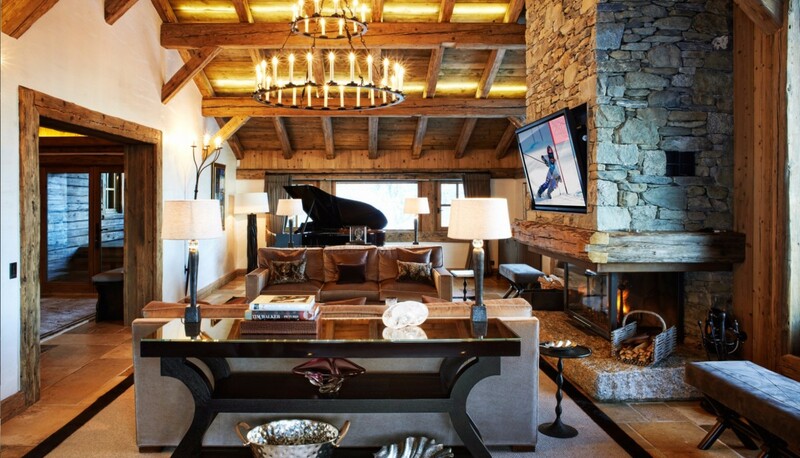 Chalet Aspen Megeve. 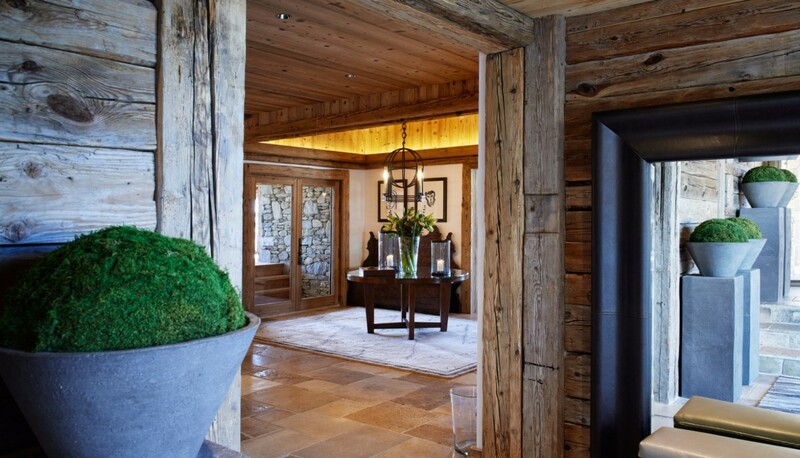 Never let the low-key exterior of the Chalet Aspen deceive you. 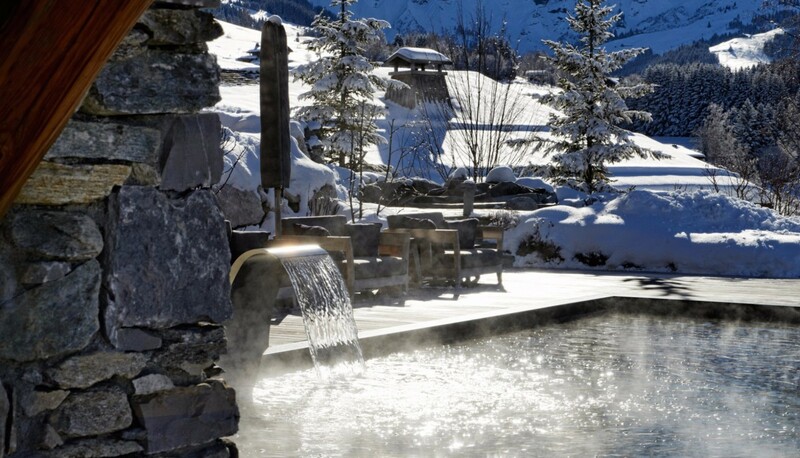 Though it features the traditional stone and wood architecture famous in the French Alps, this six-bedroom gem is a stunning example of luxury, impressive design and décor and world-class amenities. 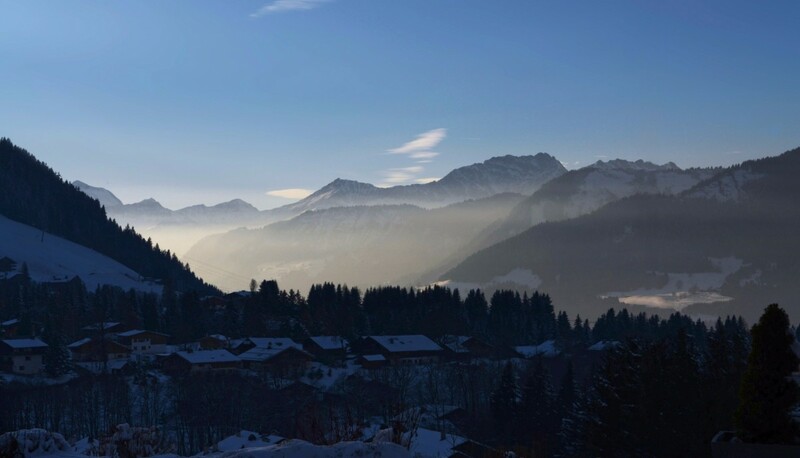 Located in the Mont D'Arbois area of Megeve, it is an amazing find. To begin with, visitors enjoy a champagne reception upon arrival and can savor breakfast, afternoon tea and evening meals prepared by their private chef. There is a butler and daily housekeeping and even fresh flowers as well as premium toiletries to enjoy. 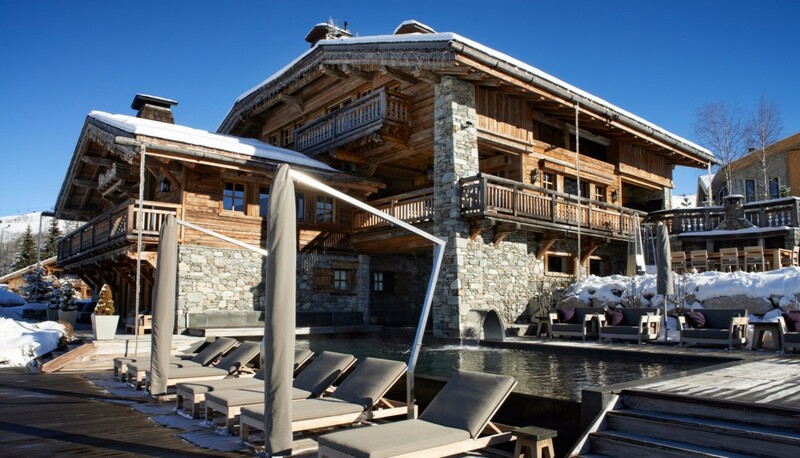 One of the first indicators that this is no standard chalet is the presence of the outdoor pool. 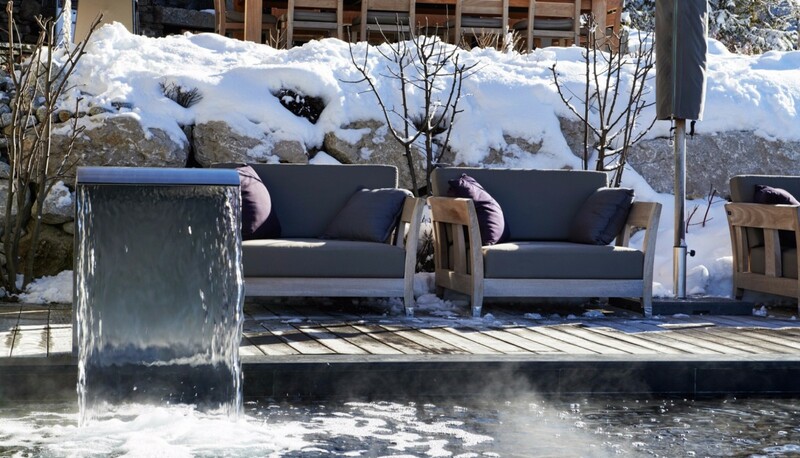 Clearly designed for year-round use, it blends in nearly invisibly with the beautiful stone foundations. Inside, the different floors each feature balconies, but it is what is inside that will stun. 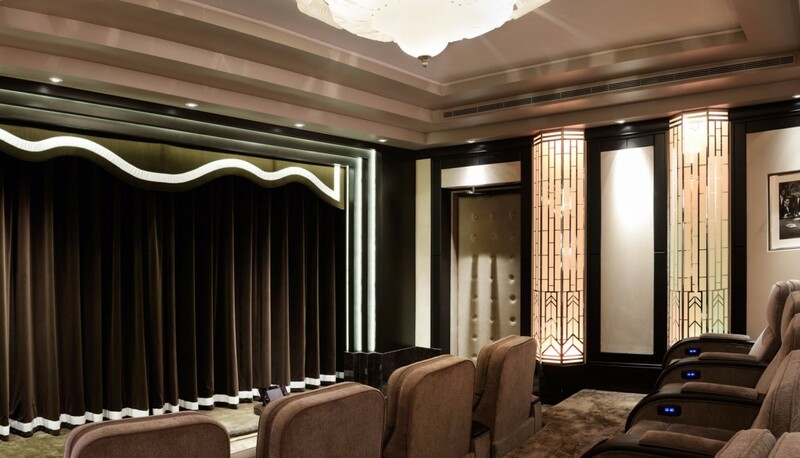 A full, and appealing decorated home theater features an authentic stage with curtains and lounges for viewing comfort. 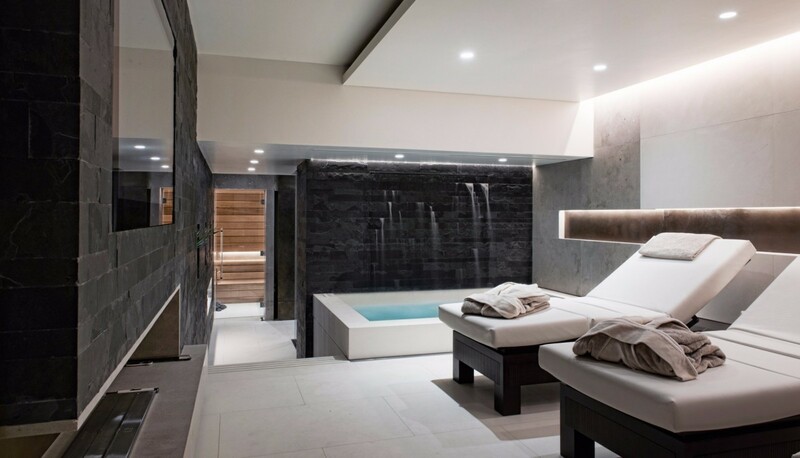 A wellness suite features a spa room where treatments can be easily booked. 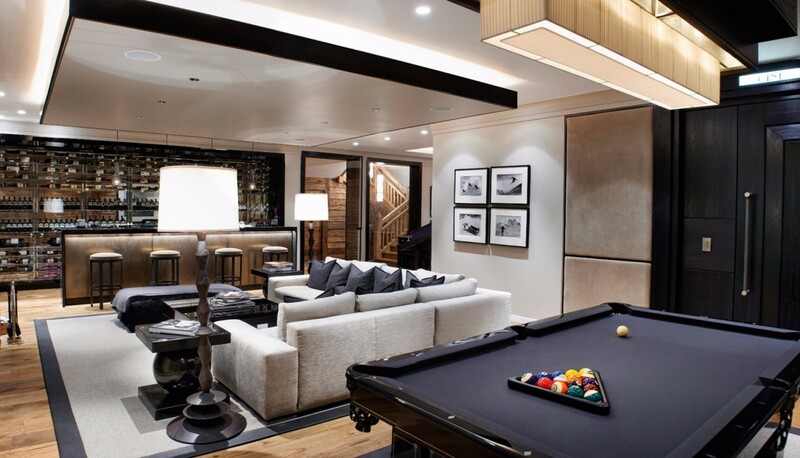 There is a Jacuzzi room and a hammam, fitness center, games room with table hockey, a fully stocked bar and a pool room. 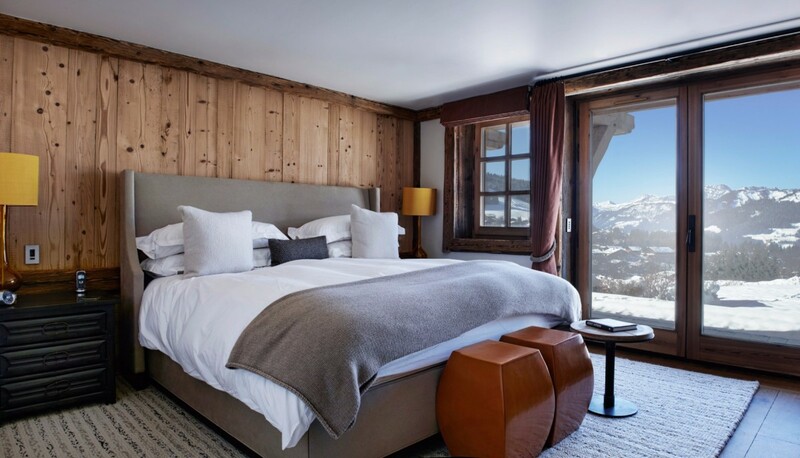 The other shared living spaces include the ski room and main entry as well as the enormous living room, dining room, TV snug and the impressive gourmet kitchen. 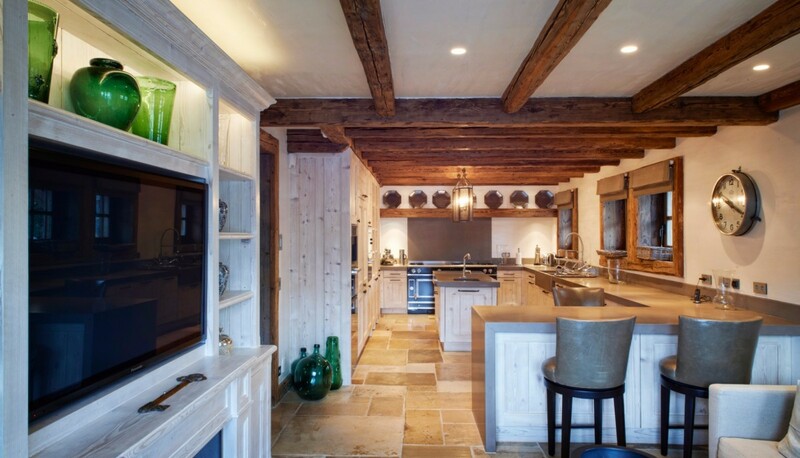 Though your chef can do all the cooking, you might be tempted to experiment in this professional-grade space. 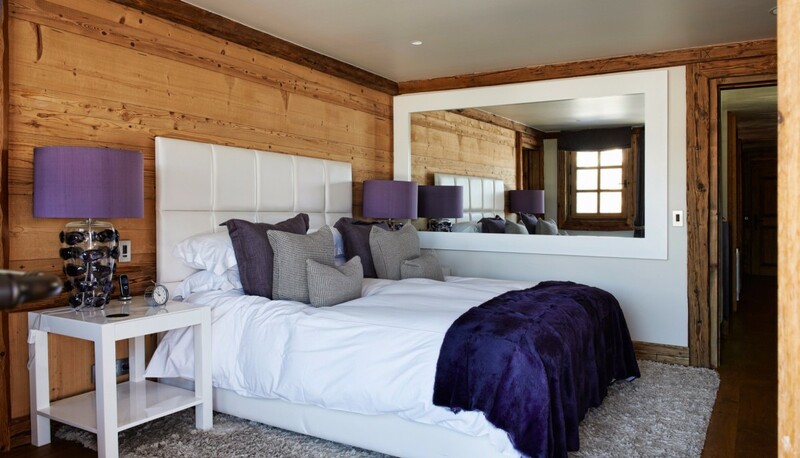 The six bedrooms are show stoppers with the finest furnishings throughout. 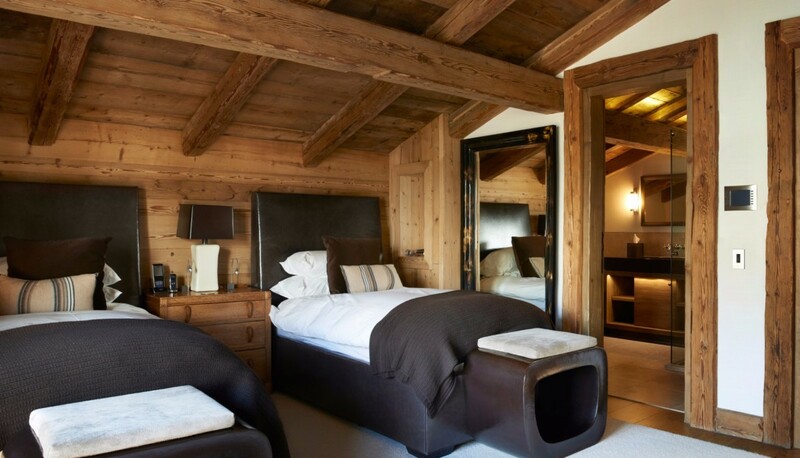 There are three bedrooms on the first floor, including the master suite with king bed, dressing room and ensuite bath. 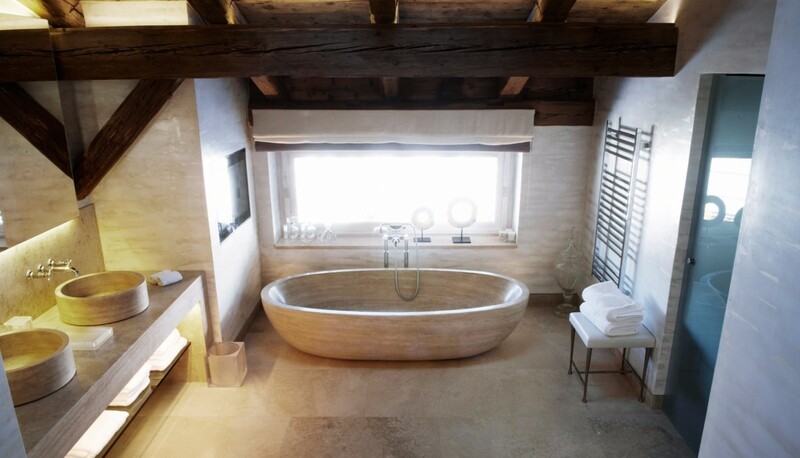 The others are dual singles with private baths. 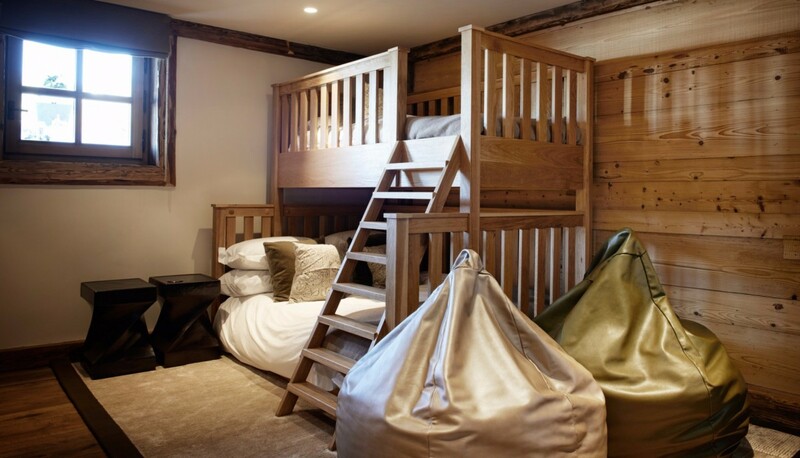 There are two more king suites on the lower floor, along with a bunk room for three. 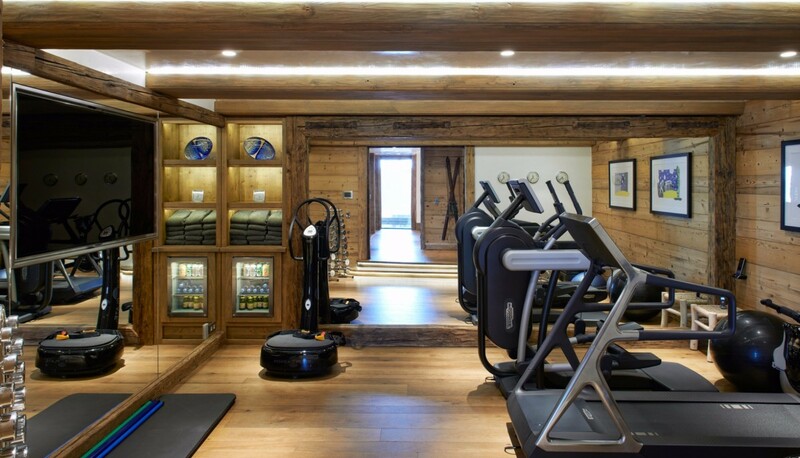 There is much to love about Chalet Aspen, and it is a spot to visit on your next ski adventure. 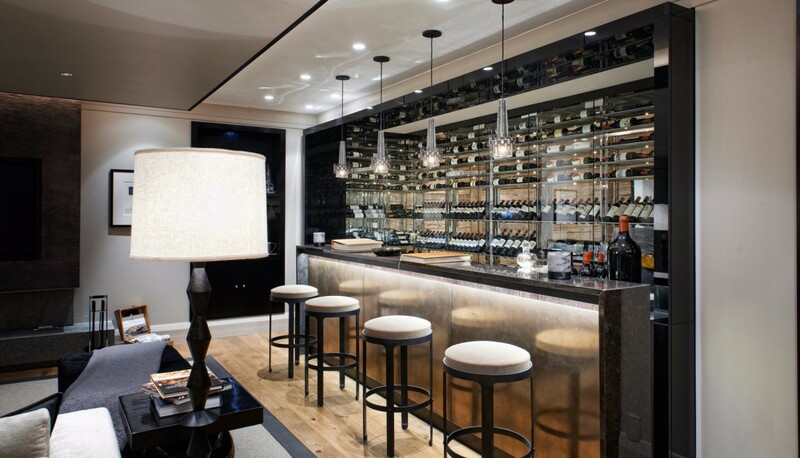 The rates include: Champagne reception upon arrival, chef service for breakfast, afternoon tea and diner, butler service, hosts, daily housekeeping service, fresh flower and newspaper, bed and bathroom linens changed once a week, luxury toiletries in bathrooms, all utilities including WiFi and firewood. 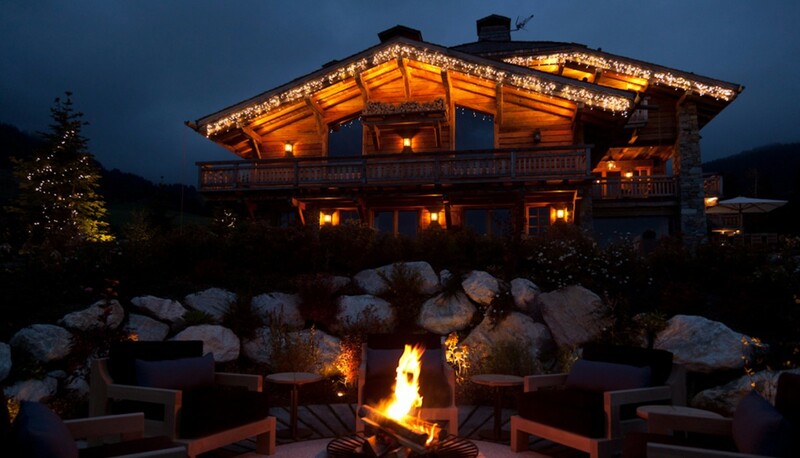 Chalet manager for immediate assistance. Bedroom 1: First floor Master bedroom with a king-size bed, TV, dressing room, views and en-suite bathroom with bathtub, shower, vanity and WC. 2 guests maximum. Bedroom 2: First floor bedroom with two single beds, TV and en-suite bathroom with bathtub, shower, vanity and WC. 2 guests maximum. Bedroom 3: First floor bedroom with two single beds, TV and en-suite bathroom with bathtub, shower, double vanity and WC. 2 guests maximum. 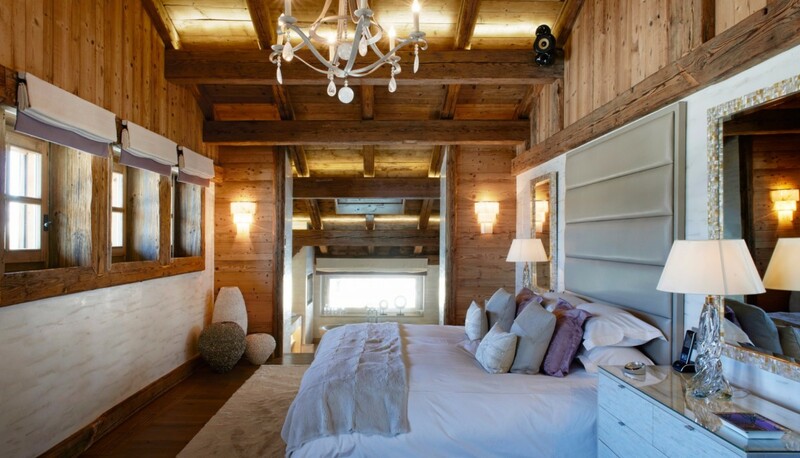 Bedroom 4: Lower floor bedroom with a large king-size bed, TV, view and en-suite bathroom with bathtub, vanity and WC. 2 guests maximum. Bedroom 5: Lower floor bedroom with a large king-size bed, TV, view and en-suite bathroom with shower, vanity and WC. 2 guests maximum. Bedroom 6: Lower floor bedroom with two bunk beds, TV and en-suite bathroom with bathtub, shower, vanity and WC. 3 children maximum. 7th bedroom available for staff with en-suite bathroom.